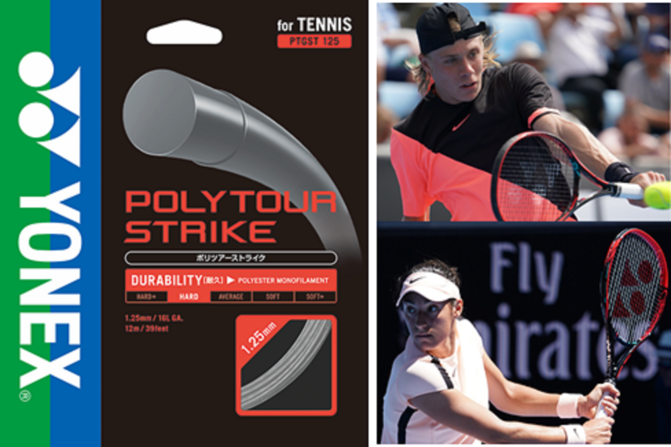 Yonex is proud to unveil its newest tennis string, POLYTOUR STRIKE, which allows players to confidently strike with overwhelming power, precision, and long-lasting tension performance. Traditionally, polyester strings are known for its durability and spin potential, but with the major downside of quick tension loss that results in uncontrollable shots. Upon several requests from top tour players, Yonex began its research and development towards a revolutionary polyester string with the focus on long-lasting, attacking power. After meticulous lab and field-testing with tour players, Yonex developed a formula that was tour-proven to provide players with the extra “pop” they seek with minimal tension loss. Studies compared POLYTOUR STRIKE to the market-leaders in a power-oriented polyester string, with results showing a 1.7% and 0.4% power and a ball speed increase, respectively. Additionally, POLYTOUR STRIKE performed significantly better at tension-maintenance, allowing players to focus on their game rather than their equipment. 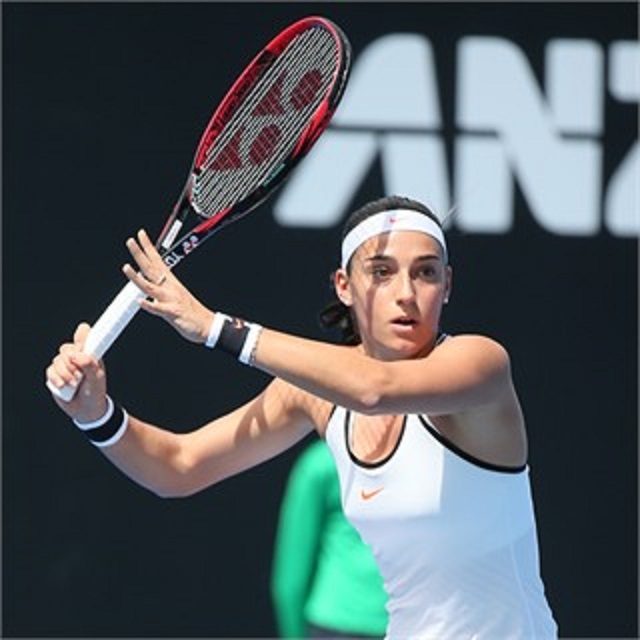 During the 2017 season, both Caroline Garcia and Denis Shapovalov competed with the prototype POLYTOUR STRIKE, catapulting them both to their career-high rankings. Like all of Yonex’s POLYTOUR products, the strings are manufactured in Japan, under Yonex’s renowned high-quality standards and controlled conditions. 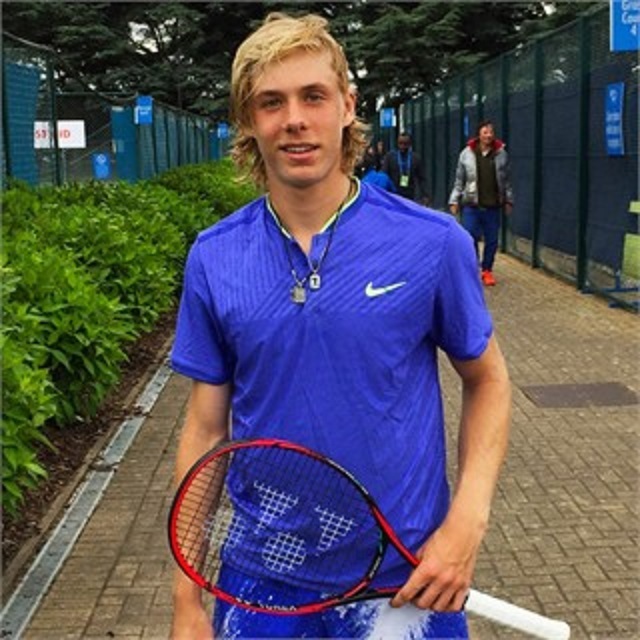 Denis Shapovalov considers his strings to be a vital part of his performance. After switching to the Yonex VCORE SV 95 along with the yet-to-be-released POLYTOUR STRIKE string, the Canadian Next Gen star climbed 140 spots in the rankings to World No.47 after claiming wins over Rafael Nadal, Juan Martín del Potro, Jo-Wilfried Tsonga, and finishing the season with two ATP World Tour Awards. Similarly, on the WTA tour, France’s Caroline Garcia rounded out her break-through season with back-to-back titles in Wuhan and Beijing and a career-high World No.7 ranking.